AR500 Armor® Emergency Personal Injury Kits (EPIKs) are an ideal addition to your plate carrier & body armor package or existing medical kit. 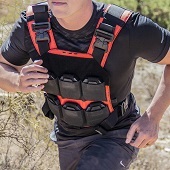 AR500 Armor® Pack EPIKs maintain a slim profile while increasing your capabilities in a life threatening bleed emergency. Pack EPIKS are fully capable of handling severe bleeding wounds and are easily stored in your glove box, backpack, trunk, range bag, luggage, and even under the kitchen sink.